Email marketing refers to the sending of emails to a database or contacts, such as your potential customers or leads. It is considered a digital communication strategy and falls within one of the actions of direct marketing. It focuses on sending a message in order to create loyalty, interact with customers, increase sales, build trust towards a service or product, confirm a purchase order, among other objectives. In the following article, we will discuss the benefits of Email Marketing as one of the most used online communication techniques currently in the Digital Marketing environment and how we can get the most out of this practice for our companies. Email Marketing is a very powerful tool, through which we communicate with users by sending emails, in order to attract potential customers to our business. Perhaps the most important aspect of the use of this technique is to have the prior authorization of the users, to use it correctly and to comply with the requirements of the Organic Law on Data Protection (LOPD). In this article, we will discuss the benefits of email marketing for the activity of our company. If we compare the cost of conducting Email Marketing campaigns with other communication channels, such as radio, television, SMS, etc., it is truly profitable for our companies. By conducting Email Marketing campaigns, we reach our potential customers optimizing the time and resources available. Compared to other direct marketing tools, Email Marketing offers great capacity and high potential. 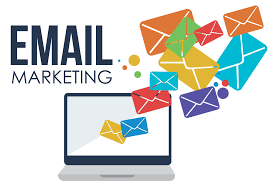 In fact, the most important reason taken into account by the marketing departments of companies to carry out Email Marketing campaigns is precisely their low cost. We can reach our target audience in a fast, direct and efficient way, regardless of where they are located. If we compare it with the rest of the advertising media, we can personalize and segment our campaigns to the maximum and we can even spread them through social networks, optimizing in this way the impact on our followers. Another advantage that we can highlight the use of this means of online communication is that it gives us the possibility to use different formats when creating our templates: we can include images, videos, music and use a variety of tools to help us call the attention of our customers. One of the main differences between traditional marketing and digital marketing is that the latter gives us the ability to measure our actions with great precision. Email Marketing gives us almost immediately data about the success of our campaigns through different indicators: the opening rate, number of clicks or the rebound rate. There are many Email Marketing tools that even give us the ability to measure the impact of our shipments in real time. The importance of measuring is that, through the results obtained, we can make different decisions and even customize shipments according to the movements of users. Another truly important and beneficial feature of Email Marketing is the enormous capacity of segmentation that we can carry out when sending to our customer database, being able to apply different criteria and segmentation models. We can even segment our list of subscribers, taking into account in advance when collecting data those that are not more relevant, as some of them will be available in the tool we use to make our shipments, such as IP address, response rates to our shipments or if you have purchased a specific product and/or service. We can personalize the messages we send to our clients or potential clients, unlike what happens with other communication channels where our actions are massive. As we have personal information on our lists, we can customize the shipments by addressing our customers by name and, in addition, we can use information such as your city of residence, your age, your purchase history, etc., with the objective of personalizing the maximum our shipments. By way of summary, Email Marketing has established itself as one of the most powerful tools to reach users and reports excellent results. The segmentation capacity that we provide is key in our communication strategies, since our results may be adversely affected if we send information to users who are not interested in our products and/or services. It is a direct technique that is characterized by not being invasive, as long as users have accepted the receipt of our shipments. Email Marketing allows us to measure results practically in real time, which gives us valuable information about our campaigns and the interest they arouse in our clients.